A juvenile Dunlin was at Montrose Beach on August 23. 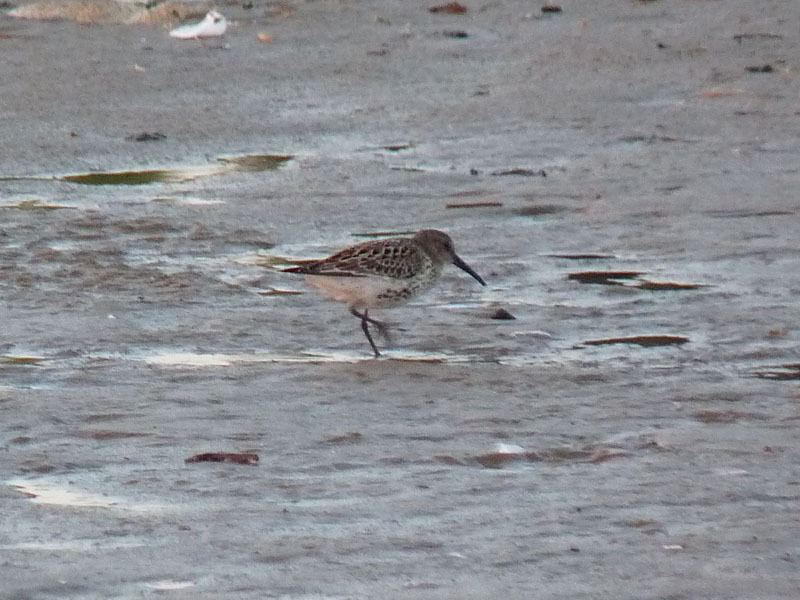 This is the earliest Dunlin I’ve ever seen in Chicago and only the second juvenile. We usually don’t start seeing immature Dunlin until the second or third week in September, and by then they’ve started to moult and show gray first basic/formative upperpart feathers, so this is significant. This entry was posted in Summer Bird Reports and tagged Dunlin, Shorebirds on August 23, 2018 by rhughes.